I'm back with another segment in my monthly favorites. For March I only had a few items because I've been trying to be on a no-makeup buy till the New York Makeup Show. However, there are some items that I'm really loving and had to share. This time around I also included some items that made it to my Misses for the month. Check it out! Slushy Maker - I picked this up from the As Seen On TV Store. I love anything frozen and this is just such a cool invention that I couldn't help but mention it. All you do is put your drink of choice in the cup, add the magic cubes (mini pouches with some kind of clear liquid in it) and shake! 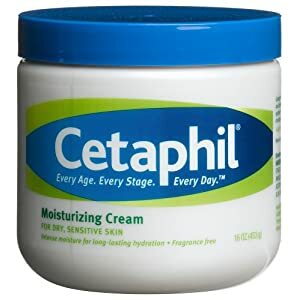 Cetaphil Moisturizer in a Jar - This is an oldy but goody. In the last month, I noticed I started getting some dry patches on my skin. I think I was getting too used to my Coconut Oil moisturizer and needed something new. I've used Cetaphil for years and it never disappoints. I love the cream version in the jar - it's super moisturizing, absorbs quickly, and lasts forever! OPI - Fly Polish from Nicki Minaj Collection - All you need is with two coats it's perfection. This polish applies non-streaky and settles into place for a perfect application. It's a gorgeous teal color that is definitely unique. I got so many compliments when I wore it. Cuties - This favorite is kinda random but I've been obsessed with them! These are mini oranges that are easily peel-able, seedless and comes in a huge box! They're meant for kids but I love them for snacks. OPI Pink Friday Nail Polish from Nicki Minaj Collection - I've been looking for a baby pink polish with a warm undertone for the longest time. This color seemed like it was it! The problem was that it applied horribly! Streaky, messy...after trying to smooth it out 5 coats later I just gave up. Sad because it's such a pretty color. MAC Penultimate Brow Marker - I had high hopes for this marker ker because I love the eyeliner version. The marker comes in one universal shade which is fine but I found the formula to be too sheer to really help me fill in my brows. This is better for those who have great brows already and need just a bit of filling in. Have you guys tried out any of these products? Let me know in the comments below!